…is to register for VAT (Value Added Tax). Yes, registering as a VAT payer when you don’t have to is the single biggest VAT related mistake you can make as an eBay seller. Why? Because by doing that, you become less competitive on eBay’s marketplace where the majority of sellers are not VAT registered. I know this may initially all sound too complicated and confusing so let’s cover the VAT registration process in detail, and both the advantages and disadvantages of becoming VAT registered. The whole VAT system is quite complicated, with many exceptions and special rules. I won’t go into minute detail on every aspect of VAT now but if you want, you can read all the information about it on the HMRC website. I’ll keep this blog post simple and straight to the point – so that you, as an eBay seller, get a clear idea on what VAT is and when you should apply for it. The current standard VAT rate in the UK is 20% (as of 4th January 2011). There’s also a reduced rate of 5% applied to some specific goods and services (eg children’s car seats) and zero rated goods & services, such as children’s clothes. We’ll go into more detail on these exceptions in a minute. The VAT rate is not fixed across all European Union countries so if your business is based outside of the UK, you will want to check your local authority’s website to find out the VAT rate in your country. For example in Ireland, the standard VAT rate is currently 23%, while in Luxemburg it’s just 15%. You should register for VAT ONLY when you reach the “VAT threshold” and registration becomes mandatory, which currently stands at £77 000. The VAT threshold simply indicates the maximum turnover a business can have had over the last 12 months and still remain / work VAT free. If your turnover over the last 12 months is £50k, you don’t have to register for VAT. If your turnover over the last 12 months is £80k, you do have to register for VAT. IMPORTANT!!! If you go over this threshold only temporarily (due to a large, one-off sale, a Christmas promotion etc.) you can apply for exemption from registration. You’ll find more details and information about this on the HMRC website. To put it simply, you must register when your 12 month turnover exceeds the VAT threshold which is £77k as of today (March, 2013). This figure change almost every year (it’s announced in the annual Budget), so make sure you keep up to date with the current rate. You’ll find a full list here: http://www.hmrc.gov.uk/vat/forms-rates/rates/goods-services.htm. So if you’re dealing with these products, even partially, you will have to INCLUDE sales of these products in your total turnover. Because when you do, you’ll have to pay more tax, as simple as that. You’ll either have to raise your prices to make up the difference which will make you less competitive OR you’ll have to lower your profit margin to keep the same pricing as before. And it doesn’t matter how you look at this – when you register for VAT, you pay more tax, PERIOD! That’s why it’s so crucial to stay away from VAT registration for as long as possible. Applying for VAT voluntarily may be the biggest mistake you ever make; it can simply kill your eBay business as in just one day you’ll become uncompetitive. That’s not even considering additional accounting expenses, as when you become VAT registered; accounting becomes even more complicated than before… VAT returns quarterly or monthly based on your return + each transaction booked now comes with an additional, VAT, field. I personally started outsourcing accounting completely from the day I become VAT registered as I simply don’t think it’s worth the hassle and time doing this for yourself. So yes, being VAT registered you’ll also face more expense with accounting. Even online accounting software programs usually have Basic and VAT versions, where the latter is more expensive of course. THE ONLY exception would be IF you’re selling ZERO VAT rated goods. In this case you’ll be able to get MORE in VAT you’re paying in your expenses than what you take in on sales (ZERO). So if you’re selling ZERO RATED goods, you would benefit from VAT registration from day one when you start your business. But Andrew, how about reclaiming VAT on purchases? Yes, that’s true, when you become VAT registered, you’ll be able to claim VAT back on all business purchases you make. This will include VAT on items you purchase for re-sale, packaging supplies, eBay fees and other related expenses. But here’s the thing most eBay sellers don’t realise – the amount of VAT you claim back on purchases will be LESS than you take in sales meaning at the end of the day you’ll pay the government EXTRA tax. * You buy £1000 + VAT worth of goods in one month (£1200 in total). VAT paid – £200. * Your other VAT reclaimable expenses for that month (packaging materials, fees etc.) are £240, so VAT part – £40. So your total VAT for purchases for that month was £240. * You sold all those items for £3000, VAT included. * This means you took in from sales £500 in VAT. This means you would have to pay the government £260 pounds in tax for the last month of trading. As if you were not VAT registered, you would NOT have to pay any of this. Keep trading VAT free for as long as possible. If you temporarily go over the threshold, apply for an exception. If you see that you are going over the threshold but only by a minimal amount (say £1k or £2k), it may actually be a good idea to reduce sales a bit, to stay just below the threshold. But do this ONLY if you know that you can’t make bigger progress and reach say £100k in sales next year. In all other cases, you have no choice but to register for VAT when the time comes. At that stage (£77k turnover over the last 12 months) you should have built a solid business, selling profitable items with good margins, and have your own online presence. Then you can be more flexible with pricing and profit margins. However it’s very difficult to survive when you’re VAT registered and sell ONLY on eBay, unless your margins are very good (like with unbranded products). You’ll essentially be competing with all the people who are not VAT registered and therefore at a competitive advantage to you. I’m not saying it’s not possible, it definitely is (take me for example or any other large eBay sellers – they’re all VAT registered) – if you buy in true wholesale quantities directly from manufacturers in China then you can still make profit on eBay even when VAT registered, it’s just more difficult. To sum it up – stay away from VAT for as long as possible! As registering voluntarily really may be the biggest mistake you can make for your business! Thank you for all your valuable information you gave. Most valuable person for Ecommerce I have found on the Net. So, I have started selling on eBay.co.uk, made a company which is still not VAT registered. My business model for now is Retail Arbitrage, so I have to make 60, 70 maybe 80 000 turnover per month to make a decent profit, my profit margain is around 10%. I hava to register my company to be VAT when I achive the threshold, but as you have written adove I have to decrease my profits to stay competitive. Therefore the work will be the same and the profits will be much smaller. Could you please give more solutions, is there any “doors in the law” ? One solution is to make 12 companies, 1 company per month. No, there are no such “doors” – you either play by the rules or get into shady tax evasion schemes. IF your business is not profitable when VAT registered, it is not profitable and you should not be running it, period. Therefore could you please tell me what business model were you doing on eBay? And what is you business model on Amazon. If you have already told about this, please post a link to read the article. In the very beginning on eBay, I was doing branded products, drop shipping, wholesale & li9quidation. But I quickly realised that margins with those models are not sustainable and moved over to Private Label products business model – same I do on Amazon right now. Firstly a big THANK YOU for your warning. Now I know, I should not register for VAT. I have a question, I have been looking for an answer online, but I was unable to find any. At the moment I am working in an office and I earn about 30 k yearly (my employer pays the tax and I get my salary after the tax). I will try to sell some of my paintings on Ebay , Amazon and Etsy. If I will sell 1 painting and if the buyer will demand an invoice, can I produce an invoice without VAT? Or do I have to produce an invoice to the buyer by law? Instead of an invoice can I produce a receipt? Do I need to buy a software for a receipt? Also if I produce a receipt, I don’t need to pay taxes , isn’t it? First of all, if you want to start a business, you need to register with HMRC – set-up an Ltd. company or register as a Sole Trader (easiest option). For this, you don’t have to register for VAT. VAT is a separate thing from business registration. Once you’re registered, you can provide invoices to customers – they won’t have VAT as you’re not VAT registered. You can create invoices using any free online software or even Excel or Word. And yes, you will have to do your yearly tax returns as a Sole Trader and pay taxes on your profits. Hello, thank you in advance for your answer time. I am close to 85,000 pounds turnover for 12 months, and my question is can I put my eBay store on vacantion mode for two or three months, whereas the previous months I’ve made a big deal are no longer in the last 12.
and then when i am close to 85 000k to stop selling until 12.2019. so the October and November will be no longer in the last 12 months. Yes, you can definitely do that and many sellers are doing exactly that – they slow down sales or take a break just to stay under the £85k threshold. Temporary this can work but in long term, you, of course, you will never grow your business if you stay below the VAT registration threshold. I am not a UK citizen, I do not live in the UK, but I use UK IP for the last few months, and recently I’ve noticed that I have been taxed with VAT 20%. Do you think that is correct? I sell on eBay for 3 years now and I have never been forced to pay VAT before. Thanks and regards. Yes, that is correct. You should be charged VAT on eBay fees. No, as you would still end up paying more in VAT to the government. The math is actually very simple when you fully understand how VAT works. At same prices, you will always lose out being VAT registered. Hi Andrew, I am trying to setup a basis for b2b with a m.o.q from the source to the trader/customer for a product which will be resold with only a 20% profit taken. Considering that the stock is projected to be sold alot outside of my home country(UK) and the source of dispatch is HK : 1. Would I not need to register for vat as best interest? 2. What portion of the cost would be vat? I will be using a single product e-commerce site with blogs etc on the site and I’m also doing my best to figure a root to create accounts for leads to complete so that invoicing can be provided and they can also see purchases in their login. I’m not outlaying on the product, I have been listing potential customers to contact so that all costs are covered. I’m afraid I won’t be able to provide advice on such multi-country drop shopping schemes. You need to contact a qualified accountant/tax advisor to help you with this as it’s a complex matter. Great article and exactly what I have been looking for. I seek used clothing on eBay and am just under the threshold. I had plans and the chance to grow by x4 times over the next 24 months but now I feel it is unfeasible and too much work to account for every item bought and sold when each item is unique. Quite sad and disheartening. It is what it is. You either accept the rules or leave it. This is about VAT – you don’t have to register for it until you reach the threshold, yes. BUT there are situations when you have to register from day one in another country, like IF you store goods in another EU country (very common for Amazon FBA sellers). I am currently in the process of setting up a business on Ebay, selling used photographic equipment. I am registered as a business seller and I source from Ebay. NOTE: I am based in the UK. The anticipated trade amount should not exceed the VAT threshold in the first year. My intention is to sell worldwide, however, I am a bit confused by VAT regulations for EU. As far as I understand it, when selling to EU I should be adding the respective VAT to the final price for buyers from EU? Is this correct? Or is it only once I reach a certain threshold when dealing with buyers from that specific country? As for the rest of the world, it appears I do not have to add VAT as these are classed as “Zero-rated”. Could you please provide some clarity on this subject? IF you’re NOT VAT registered, you don’t deal with VAT at all. You don’t add or take off VAT for any specific sales or customers. You’re NOT allowed to charge or show VAT on invoices if you’re not VAT registered. Yes, you have to charge VAT on sales to customers in EU unless they provide you with a valid VAT number. I am about to begin drop shipping on eBay.co.uk but eBay didn’t allow my first listing because I live in Greece and will be sourcing and selling items to people in the UK. They said I have to contact hmrc for info on how to proceed. I have absolutely no idea what to do and I’m sure that I won’t do business of up to 70,000£ in the first twelve months. So how do get past the hurdle? Any advice you can give will be very helpful. Thank you! There are NO thresholds IF you live outside the UK BUT will keep the stock in the UK and sell to the UK market. You have to register for VAT in the UK from day one. So I am based in the UK and about to form a company (undecided of type) and open a bank account but my business is dropshipping. The products are based in India and sold to non UK customers. Some in the EU and some outside the EU, and very rarely in the UK. I am confused about VAT (and corporation tax, but who isnt!). Clients will pay me in the UK and I will have to pay my supplier in India for the product and shipping costs. I expect a turnover in excess of £100,000 in my first year with profit margin of 30%. I could really do with some advice before shooting myself in the foot. You should consult an accountant to find best way to set this up, to stay in line with law and pay lowest tax rate possible. But in theory, if your goods are stored in India, you should not need to register for VAT in the UK UNTIL you reach the VAT registration treshold. After that, you will have to pay VAT in the UK and in future, also in Europe (when you reach distance selling VAT thresholds in other countries). Please, help me to understand! I am citizen of Belarus and leave in Belarus, now sell on ebay and take money through paypal to my account in Polish Bank. My registred addres of ebay in Belarus and ebay dont take any VAts. But if i change register address to Poland, ebay begin include VATs in ebay fees invoice. So, I send all my items from Belarus to the world wide buyers and i dont import items in Poland and EU. I dont pay any VATs. Will i have problems with polish tax governmen, because i use Polish bank account? Should i register as Vat payer in Poland? With questions like these please consult an accountant as I can’t really provide qualified advice on tax issues. I am left with the thought that my customers are tradesmen and will actually pay more for an item due to the 20% they lose from vat returns by buying from me would you agree in this case ? Yes, that could be the case IF the product is bought mostly by tradesman as you say, so majority of transactions would be classed as B2B. Then it would be worth registering for VAT to get in more business. BUT you really must be sure that B2B customers make LARGE portion of your potential customer group as if it’s just 10%, it’s still not worth registering for VAT. I sell goods on ebay on the behalf of other companies and private individuals for a commission. I never actually own/purchase the stock: I sell it, the money comes into my account, I deduct my commission and transfer the balance to the original stock owner. As far as I am aware my VAT liability is the cumulative commission invoices and not the actual eventual sales figures I achieve upon selling the equipment, the key thing being that I don’t actually own any of it? Would you be able to give me your thoughts, please? I may be wrong so better get an accountant’s opinion on this. All these situations will trigger VAT registration if you reach the threshold because it will still be your UK company who receives all those sales. The difference though is how you will apply VAT – for example – when you sell in the US, you won’t have to charge VAT. But those are details you need to discuss with your accountant. 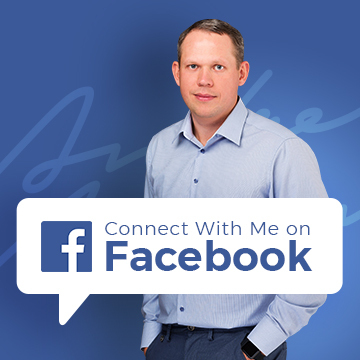 I am located in Slovakia, and about to start sell in the UK using Amazon FBA. I dont think that my treshold will be above that 83k in a year. I just paid a VAT service to register me for UK VAT. She said that it will impact my money in a positive way, but at this point I am started to doubt it. If I am living in Slovakia, and I want to store goods in UK in Amazon FBA centers, do I need to register for VAT? will it affect my profit in a good or bad way? If I have to, would it be a good idea to register for a UK based company as well? I would really really appreciate your answer. Yes, if you’re based in Slovakia and plan on selling in the UK, using Amazon FBA, you NEED to register for VAT in the UK from day one. So you did the right thing. I will have a more detailed post about the whole VAT thing next week, so stay tuned for that. I have turned over £84k in the last 12 months. Worried that next tax year will be well over the current £85k threshold. Will I have to charge VAT on these items? I heard something about a margin scheme? Yes, that is correct – you’ll have to charge VAT on your sales when you become VAT registered. I would advice you to speak with an accountant who can recommend best way to move forward taking into account your current business specifics. Hi Andrew, great page on VAT. I have a query. If I run a UK business and sell just one item via eBay.co.uk in a 12 month period at a sale price of £90,000 with fees of say £10,000 which total would I use towards working out my VAT threshold? Would it be the 90k (thus meaning I need to become VAT registered) or the 80k I ‘actually’ receive – thus meaning I keep below the VAT tally? The £90k of course – your sales. Sales is what matters here – that’s the turnover and that’s what triggers VAT registration. Thanks for the help Andrew. One final query….. I have an eBay shop, registered as a business seller etc. About 12 months or so ago I noticed that on my eBay fees page the sale of item fees (know as FVF Final Value Fees) have increased 20% with a note on the screen stating ‘The above amount includes United Kingdom VAT’. Does this mean I am now officially paying VAT on my sales, or that eBay are adding 20% to the Final Value Fees? No, you’re not paying VAT on your sales. This just means that eBay started charging VAT on their fees from the UK. Thanks again Andrew, I had a very interesting chat with a friend of mine who attended a HMRC course and was told the exact same as what I found below online. Would you agree with this statement personally? “I’ve just been on a training course run by a vat specialist from HMRC, specifically on international trade, and I was very clearly told foreign sales don’t count towards the limit for registration (that was the whole purpose of me attending the course, so I discussed it with the tutor). They confirmed that it’s even possible to have a multi-million pound turnover and not have to be vat registered, if sales to the UK are below the threshold (e.g. an export business). HMRC don’t monitor foreign sales at all, if you are not VAT registered. You should register in another country if your sales to that country exceed their registration limits, which vary from country to country (can be found on the HRMC website). I don’t really know answer to this but if it came from HMRC directly, it should be true. I have always been VAT registered locally first and only then abroad so I don’t know whatever it is true or not. Hi Andrew i’m in a bit of a pickle. I have exceeded the 85k turnover on ebay UK and reached about 98k in the period of 12 months. Should I reduce my sales to avoid registering for VAT ? I know for a fact my business won’t work if I have to register for VAT as it’s already highly competitive as it is. Ebay sent me emails saying I should provide a VAT number within 30 days to avoid them putting restrictions on my account (stopping me from listing items, followed by removing my listings) etc. Hi Andrew I have a couple of questions. Is the annual turnover of based on a rolling 12 month period also if I go over the threshold and register for vat what would I do if I then fall below this unregister? Yes, rolling last 12 month period. If you go below threshold you still stay VAT registered – nothing really changes. If you see that your turnover will stay below the VAT threshold, then you can de-register from VAT. I wonder if I can get some advice please. I have been a business seller on ebay for over 2 years. I buy goods from US to sell on ebay. I am currently needing to become VAT registered but im unsure what i need to do. I do have an accountant but he said I need to start putting my prices up 20% to show the VAT. If I put my prices up then I will no longer sell due to keeping prices same as other sellers. My business sells low profit items which means i will be selling at a loss. For an example. Item sold at £12.75 profit of £1.49 once fees postage etc has been taken off. I cannot claim VAT back as I buy from the US so no VAT shows on my invoices. Hope this makes sense. I’m from Bulgaria (EU), doing dropshipping from Amazon UK to eBay UK, started an year ago. Right now I really need a serious help from you. “You may need to take actions due to the upcoming changes in the UK Value Added Tax (VAT) rules. Depending on your items location and the size of your business you may need to register for VAT in the UK. Please take an action prior the new TAX rules are being in place as of spring, 2018. • If you are located overseas and forward deploy inventory to the UK (your items are located in the UK). 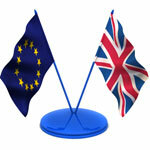 • If you post goods to the UK from another EU country and sale for £70,000 and more (approx. USD 99,700/EUR 80,000) a year. Would you help me with some details about that matter, please? Honestly, I’m totally unclear about how to register for VAT in the UK. I don’t have an UK address, a company or whatever. I already contacted HMRC via their webchat, but all I was told was to sign up and to follow the instructions. I explained that I’m actually doing a service between sellers and buyers and I don’t have items stored in UK. Then I was answered that once I register for VAT in the UK, 20% VAT will be applied to my commissions. That was all. But as long as I know, eBay already apply VAT to every single selling, monthly invoice, etc. So, does it mean that I have to be taxed with another 20% VAT, i.e. twice? Then, once I register for VAT in the UK, how will I render account to HMRC, which procedures do I need to follow, etc.? And when starting to register, which option to check? The person from the webchat of HMRC told me to choose “Organisation”, but I’m not sure why? As you can see, I’m totally confused and unclear about the VAT registering and that’s why I’m deeply count on your help here. Please, give me some important advice, help and all the information I need for that! The more detailed info and explanations, the better help and understanding by my side. First of all – eBay is misleading people about this law – it’s not a NEW law! It’s already on place for several years and Amazon sellers for example are doing this for some time already. Right now you’re effectively already breaching the law. Secondly – doing accounts, VAT is not that simple if you have no knowledge in accounting. I highly recommend you consult with an accountant first to see if it’s actually profitable/viable for you to do this business model if you’re VAT registered and if it is – then you will most likely need to hire someone who can do accounting/VAT returns for you. You can register for VAT via mail, using a special form on the HMRC website. Then, you will have to do quarterly VAT returns – you can do this online, and pay VAT. All this information is on HMRC website – so start reading and learning how it all works! Many thanks for the information you give us! I’m from Romania and now live in the UK, I want to start a business on ebay and I really need your advice to get started. I want to buy goods from Romanian manufacturers and bring them to the UK, put them in other boxes and sell them on ebay UK. I have a VAT-paying company in Romania, could I buy the goods through the company I own in Romania and then sell it on ebay in the UK (after I brought them to the UK and processed some packaging)? Do I have to register as Sole Trader and buy the products from Romania and then sell them to potential buyers on UK ebay? In this case, will I get an invoice from the Romanian producer that will include 19% VAT and I will sell without VAT to the UK buyer? If I register as Sole Trade what billing program do I have to use to issue bills to customers? I certainly will not reach this year’s threshold of £ 77k a year to register for VAT! You need to consult with an accountant on best way to set-up your business. I’m not qualified to give such cross-border VAT/accounting/tax advice, sorry. Many thanks for the information, really appreciate it. A manufacturer in Spain would like to introduce their product in the UK market and I have offered to help (I live in UK). Which option would you say is the most VAT “saving” one? I don’t expect to surpass the VAT threshold in the next 12 month but I do intend to use Amazon’s FBA services just for UK. I would register as a Sole Trader in the beginning and no, you don’t have to register for VAT from day one. You can also of course register an Ltd. company (without VAT) but it will just come with more complex accounting situation. This is very informative post and thanks for this and replying everyone. I am thinking to register for VAT , do you sell or recommend any VAT return software? Yes, eBay & Amazon businesses can register for flat rate VAT scheme. I am new to eBay and I am confused as to whether I need to fill in the ‘VAT’ box with 20%? I earn no where near the VAT threshold, as I’ve only just begun. But eBay doesn’t really explain anything regarding this field. If you can shed any light on this I would be very grateful. No, you don’t have to do ANYTHING regarding VAT if you’re NOT VAT registered. Do i stay away from VAT if i’m AmazonUK FBA seller? I’m from EU country. Turnover rate will be under £10k. I was told that if i don’t register for VAT, ill be charged 20% on my sale. If you’re from a EU country (not UK) AND use FBA warehouse in the UK to store your goods, you MUST register for VAT from day one. There are no threshold rules in such situations – you have to register for UK VAT number from day your stock arrives in the UK. Hi Andrew, Here is a copy of the email I received from eBay below, it is telling me I must register for VAT even as a small business seller that doesn’t tale more than £10k pa. So Unless I register for VAT I will have no way of getting this VAT returned? Please can you advise what to do as a small business seller? Is this the end of the line for small business sellers on ebay? As 20% will not leave anything left after all the sellers fees. ✓ From 1 Aug 2017, eBay sellers living in the UK will contract with eBay (UK) Limited instead of eBay Europe S.à r.l. ✓ The change affects a number of our agreements, including our User Agreement, User Privacy Notice and Billing Agreements. ✓ We currently charge UK VAT of 20% on seller fees for non-business sellers. This won’t change and you won’t see any changes in your overall fees. ✓ Beginning 1 Aug 2017 we’ll start adding UK VAT at the standard rate of 20% on fees billed to business sellers. ✓ Our net fees aren’t affected by this change. We’re not changing the services we provide, and you won’t need to update any of your listings. ✓ For example, if you’re a business seller billed on the 15th of the month, your invoice dated 15 Aug 2017 will show VAT on all your fees. However, you’ll also see a credit for any VAT applied to your fees between 16 July and 31 July. Are you registered for VAT with HMRC? You’ll begin paying 20% UK VAT to eBay (UK) Limited on taxable fees. You can claim an input tax credit if you’re entitled to deduct VAT. If so, it should not represent an additional cost to you. You should consult your tax adviser to find out how VAT applies to your eBay business. You’ll begin paying 20% UK VAT to eBay (UK) Limited on taxable fees and won’t be able to reclaim VAT paid unless you register for VAT with HMRC. If you decide to register for VAT with HMRC, you’ll be able to deduct this VAT when you complete your VAT return. You should consult your tax adviser to find out how VAT applies to your eBay business. As explained before, nothing changes for people who are not VAT registered. And you DON’T have to register for VAT! As an eBay business seller of second hand goods I only earn about £7,000 pa net. If I get charged an extra 20% vat on top of eBay and PayPal fees, it’s hardly worth my working! What shall I do? 2) Reduce your sales to stay below the VAT threshold and registration. Hi Andrew, I think you miss understood the question from ‘deebo’ they were explaining they are no where near the threshold of £77k a year to register for VAT! But.. they were asking what should they do as a small business seller that only returns an annual income of £7,000 and now from 1st of August 2017 ebay will be adding 20% VAT to all there sales fees! The question is, unless this person registers for VAT they have no way of getting this extra 20% VAT back? Does this mean the small ebay business sellers are basically now out of business? Ebay are asking for all business sellers to now register for VAT! Unless they are just happy to lose the 20% charges that will be incurred from the 1st Aug 2017. Please can you help to advise as I am in a similar situation and this is a very important part of my income so I can survive. As explained before – for non VAT payers, NOTHING changes after this change!!! You are already paying VAT on your fees right now, and will continue paying them after 1st August. eBay just changes it’s jurisdiction to the UK. And I sincerely apologies for giving out wrong advice on this. I was under impression that eBay will keep fees structure same for ALL sellers but it turns out only PRIVATE/INDIVIDUAL sellers are kept under previous fees and all Business sellers now are charged UK VAT on fees. For VAT registered business sellers this won’t matter obviously but for non-VAT registered sellers, this means an increase of fees for 20%. Now eBay fees + PayPal fees are slightly above 15% together (same as Amazon). Once again – my apologies for reading this news update wrong. I have a question regarding selling on Amazon and EBay. My Amazon turnover is around £75000 and I am a ltd company but to keep under the threshold could I sell on EBay as a sole trader and have it separate to the ltd company as I don’t want to register for Vat. Half of my items are baby/children’s clothes but I see that it still counts for registering for vat in turnover terms. Also if I took £100,000 sales and £50,000 of it was children’s clothes sales then how much vat would I pay? I would recommend that you speak with your accountant about this, as there could be ways for you to avoid VAT registration by setting up two companies. But you’ll need to speak with an accountant about this. From the 1st August 2017 Ebay will start to automatically start charging VAT on fees for registered business sellers. Now my question to you is that does this mean we will have to increase our product prices by 20%? I’m very confused with how this is going to effect us. If you’re not VAT registered right now, nothing changes for you after 1st August. if you’re VAT registered, eBay will indeed charge you VAT on fees because they will start using UK VAT number. But this is VAT paid expenses of course which you’ll offset in your VAT return against VAT on sales. So nothing really changes, just small accounting formality. I have a question relating to the turnover threshold limit, HMRC states that the turnover should be calculated by adding together the total value of your UK sales that aren’t VAT exempt. About 25% of our sales are exports, probably 10% to EU and 15% to the rest of the world. Do I need to include these sales when working out the turnover or should they be considered UK sales as they are sold through ebay.co.uk? I have been through most of the responses hear and I don’t think this has been answered anywhere. The VAT Web chat gave a quick response saying that as most of the items I sell are to individuals then these sales would be seen as taxable, so all would be included in the turnover. I am Portuguese (living in Portugal), self employed and VAT registered. I can make intracommunitary (EU) transactions. I’d like to sell some items on eBay (e.g. UK eBay) but make those items available to all Euro Zone countries. I am able to buy those items to have in stock without paying VAT (being VAT registered) which makes them considerably cheaper of course. Now.. what do I have to do to sell on eBay to every Eurozone country (UK included) and have competitive prices? I estimate I would be making less than 100€/month. Can I be a private seller? Must I be a business? what must I consider when making my listings… what are my rights and obligations? Yes, you’ll need to have a Business account on eBay, provide your VAT number and charge VAT on your sales to UK and other EU buyers. If you sell to another VAT registered business in EU (but outside Portugal), you won’t charge VAT them, if they provide you with a VAT number. Helo Andrew, I’m selling on eBay with business account around 1 1/2 year,in this period I make around £10,000 pound, but I don have vat number. I’m working in kitchen- kitchen assistant. You think I need to register it to government pay eBay taxes? and I hope I don’t have any problems in future because I still don’t pay ebay tax to Government? You don’t have to register for VAT, no. OMG, I check your information what you post, but I’m scared because after nearly 2 years I will have huge penalties-I think. But I don’t understand if I’m working like a full time plus I have eBay shop how they charge my?in my current job my Manager told me I can’t be self employed. You’ll need to get in touch with HMRC and sort this out with them – I’m sorry but I can’t help you to sort out your tax issues. Love all your work and articles by the way. I was recently trying to work out how a successful ebay seller was able to charge such low prices, when I noticed all their listings have the included VAT set at 0.2%! Am I missing something here, surely they HAVE to charge 20% VAT to UK buyers don’t they? If they are claiming all their VAT back from their wholesale purchases but only passing on 0.2% to HMRC, no wonder they can set their prices low! They are a UK-based business seller with a VAT Reg number on their listings. I’m sure it was just a typo…? I’m not so sure. It says 0.2% on all their listings (hundreds of them) and that includes GTC listings that are over a year old and newly listed ones. I’ve seen another seller where all the listings state VAT as being 2.89% ! To me it all looks totally illegal and basically screams for big problems if someone reports them to HMRC. My situation is very complicated. I am a dropshipping on Ebay, and FBA seller on Amazon. However, I am not a UK resident. I registered my company in Ireland, but most of my sales and trading are in the UK. However… on my ebay dropshipping model. as you know, it needs to be competitive in pricing. Therefore, most of my profit margins is around 7-15% which are all quite low in profit. so, if I have to pay for the vat, I will totally lose all my profits, and turn to big losses straight away. but the tricky part is, my ebay and paypal are both registered in Ireland, which I dont know if its obliged to pay for the VAT in UK as well? even though most of the items listed are in the UK. I contacted Ebay Ireland before, regarding to this issue, and they told me not to worry about the UK Vat since, I am a resident in Ireland…. However, after spoken to my new accountant today. They told me that every sales that are made in the UK (bought and sold) will be subjected to the HMRC VAT. You should listed to what your account says, really – I’m not qualified to give such advice on accounting issues. I outsource all my accounting and relay on my accountant professionalism. You don’t need a UK company, no. You can set up a company in Ireland and then apply for VAT number in the UK and other EU countries (if needed). I’m currently dropshipping as a private eBay seller. I’m worried of registering my eBay account as business. As I want to avoid getting charged vat on my sale or eBay/PayPal fees. I’m not vat registered so I upgrade my eBay account to business seller then does eBay start charging me vat on my sales and ebay/PayPal fees? No, eBay won’t ask you for VAT number when you upgrade to Business account. VAT number is optional on eBay. have you given your VAT number to eBay? There is no doubt you have a good information but to me you have done some mistakes in calculations. According to you…. Therefore, according to your calculation, it should be £360.00 that you have to pay to the government. Secondly, this amount is actually £120.00 that you may have to pay extra if you are VAT registered because you’re going to claim VAT on your purchases anyways. So if you purchase items (VAT=£240.00) and claim the VAT (VAT=£240.00) but pay to the government on your sales, it’ll be £360.00, therefore, you actually pay £120.00 extra to the government and your profit will be minimise. However, if you are not VAT registered then you’ll have to pay £240.00 which you cannot claim. In that case you are paying double of your amount (i.e. £120.00 X 2 = £240.00) so how can this will give you any benefit if you are not VAT registered? To me, if you have a VAT registered business it may cost you more in many other ways, e.g. to maintain books, accounts, audits, hiring more staff to keep track of each sale or using accounts systems or paying to the accountant etc. Therefore, until your business is not earning with a regular amount of over the threshold, it should not be registered as a VAT because you might need to increase the prices to get more profit. Other than that I don’t think it may effect on your income in a straightforward way of claiming VAT. Well, you might know any other deeper point what I have said, hopefully you’ll rectify me or your own conclusion. I’m sorry but your calculations are not correct. 1) On £3000 sales, VAT IS £500 (£2500 + 20% on top is £3000). You do not calculate 20% from £3000 (your £600 figure), that’s not how VAT math works. There’s cost of goods + VAT charge. Goods is £2500 and VAT from £2500 @ 20% is £500. 2) So it still stands at £500 – £240 = £260. But you’re right that I have not taken into account amount I can reclaim here. So effectively I would pay £20 in VAT (£260 – £240). So £20 MORE than without being VAT registered. Plus all the hassle with accounting, VAT returns etc. Hi Andrew, great website. Please can you help me with an ebay/vat problem. We are a long established small business (vat registered) but have just started selling on ebay. I’ve registered a business account on ebay with our vat number but my problem is with the postage charge. Because of the benefits ebay give for offering free postage, we are doing this but obviously we have to pay seperately our carrier charge which is £8 +vat per delivery. We reclaim the vat on this in our expenses, but the problem is every sale we make has the £8 cost to us of the postage built into it (because we’re offering free postage) so does this mean we will be paying vat on the postage twice and need to deduct £8 for each sale from our “gross income before vat”? This is how I am seeing it, but i’m not sure if i’m right. For questions like these, I really recommend you speak with your accountant as they will give you best advice (I’m not a qualified accountant). But in essence what you say is correct, unless you create your own invoices @ your end where you show shipping cost separately. The Threshold for distance selling is 70k and I think EBay selling would fall into that category. Am I correct? No, that £70k threshold applies from companies OUTSIDE UK that sell to UK market. VAT threshold for UK based businesses is £83k. eBay won’t charge VAT on your fees IF you’re VAT registered and provided your VAT number to eBay. Thanks for the reply Andrew,so it’s just vat on the fees? I though it was vat on the final price you sell for. No, just on the fees. When working out VAT on total eBay sales, should my accountant be vat’ing total sales or should he be removing ebay/paypal fees & also refunds and vat’ing the remainder? He doesn’t have any other customers that are online based so thought i would get a second opinion, any help would be greatly appreciated. yes we are vat registered. I’m sorry, but this your accountants job to know how to book each transaction properly. I have just gone over the threshold and registered for VAT unfortunately. I buy and sell second hand watches on eBay and other selling platforms. I have opted to go for the flat rate scheme at 7.5%, as my profit margins are very high and it works out better than the margin scheme which would be 16.67%. My questions is, although we still need to add the 20% Standard rate VAT to the sales price, does this apply to people outside the EU? Lets say my sales for the EU including the UK were £100k and outside was £30k, do I only pay 7.5% on the EU/UK sales? Am I right in saying that outside it would be exempt? Yes, in general you don’t have to charge VAT for sales outside EU. But I’m not 100% sure how exactly this works with flat VAT rate scheme. Thanks for your advise in the post. If we are not VAT registered, how do we pay for import VAT or duty for goods imported outside EU, especially when we need to give information for customs clearance? By the way I checked on HMRC website and the current threhold should be £81000. You simply say that you’re not VAT registered when goods hit Customs and that’s it. You just pay VAT & import duty. P.S. VAT threshold changes almost every year, hence the difference as this post is not from 2016. If we imported from outside EU and at the meantime we’re not VAT registered are we still able to pay import VAT and duty? If yes but how? If the courier requested us to provide clearance information like VAT/EORI number and we said we don’t have it what will happen then? you can get an EORI number WITHOUT being VAT registered. As I said, you can pay VAT on imports if you’re not VAT registered, it’s perfectly fine. You say courier that you’re not VAT registered, that’s it. I have actually 2 questions. We are a VAT registered wholesaler. And wanted to sell on Ebay. So we registered as a business seller and as our company was registered for the VAT we put the information as well. So can you please tell me is there anyway to avoid the VAT on sales on our ebay sales? If there is, its a good news. But if there isn’t, can you tell me if I’m selling an item for £10 online as far as I know ebay will charge me £1 but on what price I have to pay the VAT? If you’re VAT registered business and you sell directly to consumers (NOT VAT registered), you have to charge VAT on your prices, there’s no way around it. If you would be so kind to reply. I know you have probably answered this more than once, but I find myself with just one more question. We have expanded our business to sell through AMA UK. Just switched to business acct. We ship product to the UK from the US and pay VAT on the goods once in. Goods are held in a warehouse and shipped at our request to end users. We are UNDER the threshold at this point, but are looking to increase sales in the near future as soon as we have a handle on VAT. My understanding is that we must register for VAT if our products are STORED in the UK even though we are under the threshold? I understand that we cannot recoup any VAT as long as we are not registered. Right now I am thinking that is okay. Thank you so much! VAT is hard enough to understand and the conversational dialog help on this blog is great! Hi, great info, thank you! i have a question. If my Ebay/business deals in secondhand items does this change anything in terms of tax allowances of declarations. Second question – if my business bank account is in England but I live and work(ship items) to the USA from an EU country, which country do i pay tax too? No, it does not change anything. Not sure on the 2nd part – from what I know, you pay taxes in country where you live, where your business is registered in. But you should consult an accountant to make sure you’re doing everything right here. VAT Registration – The End of Your Business? Just wanted to post my point of view on that one. Currently i’ve been facing exactly same problem as i’m getting close to threshold. Fact is that becoming VAT payer piles up paperwork which is huge change in traders life. Especially if have been sole trader and you normally just had to take expenses out from turnover and pay 20% of difference to HMRC and that’s it. Finally you find yourself asking a question what’s next. Answer that comes to my mind is: depends on business model. Vat means that you have to charge additonal 20% of your margin also makes postage 20% more expensive if you normally use VAT exempt Royal Mail services. If you use other Courier services charging VAT then it changes nothing as long as you don’t overcharge postage. 1) You can buy stock within European Union with NET prices (EU goods acquisition). VAT is due on sale, so you pay only when you get paid. You can simply buy more stock and negotiate better prices. More you buy less you pay. Basically going into VAT means that you have to use the fact that you’re bigger everywhere you can. Personally i don’t think there is other way that eventually become VAT payer. Now you claim back VAT on packaging materials, devices, fuel and everything else. I’m not saying that you’re better off with VAT. I’m saying that you have to use the fact that you’re operating on bigger volume everywhere you can. Yes, that is very true Ete. I really liked the way you phrased it – go as big as you can or just stay small. It pretty much nailed it. What about if all your products carry VAT but are exported outside the EU? Surely there’s an advatage to there, since this is likely to result in you being able to recover most of if not all of the VAT paid if your products are sourced within the EU? You mean when you’re VAT registered? Great work andrew very informative. I have a quick question and was wondering if you’d be so kind to help me if you can. I’m a novice to business and have been working overseas for the last 15 years. I recently returned to the UK and I wish to start a online commerce business selling rare jewelry, wristwatches and art from Japan. My question is simple can the VAT charged at import by customs be reclaimed if I sell under the VAT threshold which is currently 81k ? No, it can’t. if you do not register for VAT, you can’t claim any VAT back. It’s not like you can’t register for VAT if you sell below that £81k threshold – you can! You can register for VAT even if your turnover is just £100 per month but as explained in this guide, it’s a stupid idea to do as you’ll end up paying more taxes as VAT registered business anyway. Basically it will be all business expenses you can account for – fees, shipping costs, packaging materials, warehouse equipment, tools, computers etc. etc. If it’s used solely for business purpose, it can be set against your expanses. I’ve had a good luck through these answers and don’t think i’ve found this answer so far. Currently we are well over the UK VAT threshold and so pay our UK vat. We have since started selling to Germany, however we expect the sales to be under €100k for the next 12 months. Could you please clarify wether we need to charge any vat or anything on these product sales to germany as we are under the german vat theshold of €100k? Thanks! Yes, you should/have to charge VAT to any EU based customer, if you’re VAT registered business in the UK. Only exception would be when you sell to OTHER VAT registered businesses in EU – then you don’t charge VAT on those sales. And once you reach German threshold, you have to register as VAT payer in Germany. Can you , please , comment on this. Thanks. Your calculations are wrong – seller A, who isn’t VAT registered, won’t pay VAT on final/sale price ($4 in your example). He would only pay $2 in VAT, on cost price. When you’re not VAT registered, you don’t charge VAT on your selling price. Sorry to be dim, but I can’t seem to wrap my head around this! I’m looking to import goods from outside the EU and sell on Amazon. I understand I’ll have to pay VAT on import, but then, according to Amazon, “Amazon will charge Marketplace sellers who are not VAT registered the standard rate of VAT applicable to each EU Member state”. Surely this means that by not being VAT-registered, then I will still have to pay VAT twice (? ), at least, this is the case if I use the Amazon platform? Please let me know if I’m understanding this correctly! You’re mixing products with seller fees. Amazon will charge you VAT on seller fees, if you’re not VAT registered. Products you still sell VAT free if you’e not VAT registered. I have a problem in that each year I have to stop trading on ebay as I near the VAT threshold and do not want to ever register. I sell clothing and as a result, get a lot of returns simply because the garment doesn’t fit the buyer. My question is this: if I refund £5,000 in one year, should this be excluded from my turnover, thus allowing me to continue trading? My reasoning is this: If a person just starts off a business selling clothing and has £75,000.00 potential stock turnover. A customer comes along and says hell buy every bit of your stock for £70,000.00. You agree and he pays you £70,000.00. for the whole of your stock. You think, that’s my earnings for the year, I’ll cease trading now until 12 months time or I’ll have to register for VAT to continue trading. The same customer returns to you a few days later and tells you he needs to return all of the goods he bought from you for a full refund. You oblige, giving him his £70,000.00 back. You then need to sell the stock yourself but here’s the problem – Do you now need to register for VAT, thus hiking your prices instantly and pricing yourself out of business, as you have already taken £70K albeit you refunded the whole amount, or can you/ I exclude money that has been refunded to the customer? As far as I know, refunds are taken off your VAT threshold. I just need to understand how VAT works…. Sorry I am a newb!! So if I sell items on ebay lets say for £45… Over the course of 12 months if i sell enough items and reach the threshold, I will need to register for VAT… But do I register for VAT after taking out the postage and packaging, ebay seller fees, paypal fees and then going by what is left over and calculating that price? Lets say £45 – £10 = £35…. So i only register if the the price (after all the expenses) culminates into crossing the threshold over the course of 12 months. I really hope that made sense. Secondly, if i do register for VAT… what do i do? Add 10% to my items now? for example lets say i sold an item for £45 previously before registering. Do i now add 10% to £45? and then when paid by the consumer, give that 10% of the sale price to HMRC? No, you calculate your VAT threshold on gross sales – not taking out any expenses or fees you have paid. It’s just total sales number, pure and simple. As for your 2nd question – yes, if you want your buyer’s to fully cover you for VAT, you will increase your prices by full 20% (VAT part) but most sellers don’t do this as then they couldn’t compete with others. They usually leave price same or increase a little bit and cover the expense of VAT from their potential profits. I am doing eBay business and have just opened Ltd. company in UK. All my customers and suppliers are within UK but I am living in another EU country and managing company as a director from there. As UK banks did not opened business bank account in UK I had to open this account in one of the banks located in my country I am living. I am wondering now if I will need to pay TAX in UK or in my country where the account is opened? As it would destroy all business because VAT threshold is very low here. P.S. Any ideas how to open business account for Ltd. company located in UK for Non UK Resident? You should really consult an accountant to help you out with this situation, I’m not qualified to give advice in such specific situations. Hello and great post. But I’m a bit confused about the extra tax you have to pay if you become VAT registered. I thought any VAT i pay i claim back quarterly if I’m fully VAT registered? At the moment i have to pay VAT and can’t claim it back. So what is the extra tax i pay? I thought I would only pay what I charge, i.e. i would add the 20% VAT to my invoices that I get paid then pass that on to HRMC. My current situation is self employed but i hire subcontracters who are VAT registered. By April I’m would of paid them 20k. +4k VAT added total of £24k. I am about too buy a computer for £2500 meaning with VAT it will be £3000. if VAT registered i can get the £500 back. Well i think i can! So by my examples above would I not be able to claim back £4500? You claim back only DIFFERENCE if your outgoing VAT is bigger than incoming. If we take your example – you take in VAT £4k and spend just £500. This means you pay to government £3.5k and not get back anything. If your expenses would be higher, say £5k in VAT paid, you could get £1k VAT back (£4k-£5k). So it’s not that simple. In your case though – if all clients you deal with are VAT registered and they don’t mind that you add VAT on your prices, it could be beneficial to you to register for VAT. As in essence you would take in (in your example) £4k more and only give to government £3.5k (because you purchased that computer). I’ve been out of the UK for 10 years now but when i was vat registered and selling on eBay the government were paying me VAT back…..just sell out of the EU so you don’t have to charge VAT but can still claim back all that you pay out. Not sure if it’s changed recently. I’m now in France doing the same – 75% of sales out of the EU …..i have to pay VAT on 25% of sales BUT i’m saving just as much on purchases without VAT. yes, if you sell mostly to customers outside EU, being VAT registered is way to go. This won’t apply to many people though as most sell within Uk & EU. I’ve already got an offline VAT registered business and I know how much of a nightmare it is. I’ve been trading on eBay for about 6 months now. Based on current growth I’ll have to register for VAT by the end of my current year. I have several niches I operate in. I was wondering If I split my niches into separate legal bushiness. Would I be able to postpone VAT registration? Would I have to create a new eBay, PayPal, Bank account for each separate business (niche)? At first I’d have to work out carefully to split my business into 2 to ensure both are top rated sellers. But yes, as minimum – you’ll want to register a new PayPal, eBay and bank account for each company you set up. That’s bare minimum. hi Andrew, I have a traditional business and wish to use an ebay shop to clear old stock, I am in the process of of appying for an ebay account and it mentions that I can apply for exemption from vat on ebay fee’s. Is this of benefit or likely to cause more of a headache when completing my vat return. I take it for granted that I am not exempt from having to apply vat to any sales. Are you currently VAT registered? Hi Andrew, I have started tt sell some of my surplus items on Ebay, but I’m thinking of trying Amazon as Individual, would the VAT free rule apply to Amazon as well? it seems that Amazon requires the you have a VAT taxation number. Yes, exact same rules apply to Amazon too, your own eCommerce shop and any other selling channel. No, it’s not true – Amazon does NOT require you to be VAT registered to sell on their Marketplace. I am a UK VAT registered eBay sellers and have found our sales have dropped from around £40000 to£15000 per month due the increasing amount of Chinese sellers dispatching goods from the UK using UK based fulfilment warehouses. We did some research on 20 of these china based sellers. Their monthly sales generated from their UK based stock ranged between £30,000 to £400,000 per month. So it is quite clear that they all need to be Vat registered. After doing some secret shopping with them only one was able to provide me with a valid Vat invoice. The rest were not registered for VAT. We calculated this to be about £24000,000 in undeclared VAT in one year. We contacted eBay and reported the sellers, however eBay took no action and told me I needed to report them to HMRC. 90% of the sellers business information on their listing pages was a Chinese address but the item location was in the UK. We have put together a report for HMRC. You can see how this official ebayUK statement might cause a little confusion, a little concern. They can’t charge VAT if your annual turnover is BELOW the current VAT threshold, right? That statement is totally correct. Seller charges VAT (eBay/PayPal in this case) and they’re VAT registered. It has nothing to do with the buyer. Would I be paying eBay/PayPal 15% VAT? If so, where would I get the money from to pay it? Thank you for your patience, time and help. Thank you for all your replies to the questions everyone has posed to you on here. I do have a small question myself, and appreciate any help or pointers. When registering for VAT, what happens with the VAT money that has been charged on invoices if my turnover is below the current 2014 threshold of £81,000? To elaborate, my new LTD company has customers passed over from a previous business but those customers will only deal with my new business if I am VAT registered. I’d be silly to turn those orders away on this basis, however first year trading and turnover may likely be below the said 2014 threshold. I hope this makes sense. If you register for VAT – that’s it! You have to charge VAT on ALL sales and can’t make exceptions. It doesn’t matter what’s your turnover – you still have to charge VAT on every sale. So if you’re just starting out and this is your first year of trading, DO NOT register for VAT from day one! Only do it when you reach the threshold. I’ve been selling on eBay for 18 months and building my site up, I now list about 100 items once a week and sell about 40 of these items. With eBay and paypal fees I make a small profit on each item of about £5.00. eBay have now decided I have to become a business seller to carry on selling. You’ve explained the VAT very very we’ll and I’d keep under this limit but I have a job with an income of £60000+ and I’m currently making about £6000 through eBay. Basically my question is setting up as a business seller would I have to pay 40% tax on the profit of the items I sell? Do I have to tell HMRC I’m trading on eBay? And would this then mean I have to fill out a yearly tax return stating what I’m spending and making on eBay? If I don’t use any of the profit but build it up in an account solely for the business does this still count as an income, hence liable for 40% tax rate? The answer to ALL of your questions is – YES!!! You’ll pay 40% on eBay profit if registering as sole trader (and yes – you have to register with HMRC and yes, do yearly tax return). To avoid 40% tax rate, you would want to set-up a Ltd. company. But for that, I would recommend you find an accountant who can do the paper work for you. With a limited company you’ll pay just 20% on profit. Just one more question Andrew, and like I said I’m a complete novice at this, if I set up as a ltd company would I have to leave all the profits in the company for a number of years before dissolving the company? Or would I be able to use the money as and when after declaring it to HMRC?x I’ve been using my eBay money once a year for family holidays but if it had to stay in an account as a company I would probably save it to pay off my mortgage or home improvements etc. You can take out profits as dividends each year after the tax return, that’s not a problem. You should really get in touch with HMRC as it’s not something that can be covered in a blog post comment reply. I’m sure they will explain all the steps for you. I sell some items on ebay and make a small amount of profit per month (around £400). I have a private ebay account but am thinking of changing it to a business account. Do ebay take tax off me or do i manually do it myself somewhere else? Just late reply on this very helpful article. I’ve few things ask from you if you know. 2. Then if we reach 77K sales on our ebay and payments received trough paypal (over 77K) does ebay or paypal force you to register / provide them VAT registration details? I’m kind a lot this situation since, I’m not sure if this happen what to do? 1) Yes, by EU laws you would need to register for VAT in the country you sell to, when you reach the threshold. Even if you’re based in country outside EU. 2) I don’t think so, no. eBay and PayPal does not do this, they really don’t care if you’re VAT registered or not. Thanks for reply. Got that. So hopefully I have to go for registration soon. 🙁 I have to find a Accountant, or I’m thinking to stop the business and doing something before I lose everything. I’ve read lots of forums and I scared so much about this VAT thing and so many ex-sellers have bad experiences after they registered VAT. Andrew thanks for the great article. VAT has been racking my brain for a while now. I’ve been dealing with an issue that no-one has mentioned. Basically I run a startup ecommerce dropship business in the electronics niche (low margin industry 5-15%). When i was searching for suppliers EVERY one was A vat registered reputable business that’s required me to give them a VAT number. All of my competitors will be VAT registered but are buying in bulk and are upto 40% cheaper. The products i’m purchasing are thus very hard to make a profit on. How are people managing to even source the products without being VAT registered? No one in China, USA, Europe etc. will ask you for a VAT number – so there are plenty of sourcing options even if you’re not VAT registered. In UK – many wholesalers ask for VAT (on application form), but in 90% case it’s not mandatory and you can get an account anyway. I have browsed extensively and I could probably un-register from VAT and sell unbranded goods but unfortunately if I was to sell Apple products for instance I would need to go to a authorized distributor as someone like Apple has a tight supply chain and most of these big businesses would be VAT registered meaning the cost would be given to me as the reseller. I’m not sure if there Is a way around this VAT issue still … that’s if I want to sell branded products and have a large enough range to make the business worthwhile. This is the most useful post I have come across online. It is so easy to understand. I have just started selling on Amazon though (eBay did not seem to work for me) literally last month. I have not registered a business since not sure my items are going to sell. But I am thinking to do it soon coz I don’t want to do it legally but something has hold me up. Now I finally understand VAT. So as a starter, it does not bother me now. But is it that simple that, in my case, I only needed to register my business (through HMRC or company house?). I work full time. So if I have a business, don’t I need to pay income tax etc? Can you please advise what fees do I need to pay? I am sorry if it sound so stupid, I am an absolute newbie to business. very appreciated! Hi Andrew and congrats on your great post, a true diamond for us sellers! 1. From all the above i assume that is actually possible to sell goods or services with a total value of hundreds thousands euros throughout the EU, without paying a single penny in VAT, provided that the value for every single country is below the national threshold. Is that correct? 3. Does the VAT duty (if applicable) have to be visible while the customer completes his purchase, or it can be hidden in the total price, without the customer knowing if he has paid VAT or not? 4. Suppose a VAT registered seller in EU sells a product to a customer who resides in EU as well. However the products location is outside the EU for whatever reason. In that scheme the customer has to pay for VAT twice. Once while he completes the purchase, and another one while the product is imported into the EU zone from a non EU country… That double taxation sounds a little bit strange. Is there a way to avoid it or have some sort of VAT return? 1) No, you’ll have to register for VAT in your country as soon as you reach the threshold AND have to register in other countries when sales in those countries reach threshold there. 2) Not sure on that, you’ll have to ask accountant about such specific issues. 3) You have to show VAT separately on the invoice BUT online, it can be just “hidden” in the price. And just have a note on your website that all prices shown are VAT inclusive. 4) Not sure on that, you’ll have to ask accountant about such specific issues. Suppose a UK based company has online sales in both UK and Germany. Let’s assume the sales are £50k in the UK and €80k in Germany. Both numbers are below the national thresholds (70k and 100k respectively), but the total sales (UK+Germany) are about £116k, well above the thresholds. Is there any VAT to be payed in the above example, and if yes, how much is it? yes, in such case you’ll be paying VAT because your TOTAL sales is £116k and you’re based in the UK, which is above UK threshold. Thank you for the great article, really helped me understand. Could I just ask, if I wanted to start up an ecommerce site where the turnover stayed under the VAT threshold, there would be no need to be VAT registered as you say. But on the website would the products have to be sold with VAT included or VAT free?? If you’re NOT VAT registered, you simply CAN’T charge for VAT! So no, you’ll sell products without VAT added, if you’re not VAT registered. Is a foreign company having no UK presence REQUIRED to register for VAT if it stores products through the service of a UK fulfilment house? if i close my ebay business account down, can any sales that were in it be traced, or is everything deleted from their records? I’m sure eBay keeps all the records for deleted accounts. Even feedbacks you leave for others will still show up with a small note next to your username – no longer a registered eBay member. I’m 99% certain they keep these records for all deleted accounts. They use this data to link accounts etc. Registering for VAT will not mean you pay more tax per se, once one has done the books by simply taking away all business expenses/costs from total money taken you will of course pay income tax, IF you register for VAT you will just be paying a different tax, the money you turned and payed in VAT would have just been payed in income tax anyway… the end result though is one becomes tax collector (of VAT) and has more regular accounting to do, in short money you don’t hand over as VAT you will hand over in income tax anyway, register for VAT then money you would have paid in income tax you will pay in VAT… depending on the individual business there will be a sweet spot where it will make no difference if you decide to become VAT registered but detrimental to register before this sweet spot regarding VAT vs Income tax, the HMRC threshold is well above this sweet spot because when you reach the HMRC VAT threshold in turnover/takings terms your profit made for income tax and national insurance purposes will most certainly be approaching higher rates anyway (and well clear of income tax free threshold) so when you register for VAT it will make no difference, you will pay taxes be they named VAT or income tax, again the end result when registering for VAT is you have become tax collector, but yes don’t register too early (VAT vs Income tax), the HMRC threshold is a bit of a red herring (depending on ones individual business)! I’m sorry but you’re wrong on this one. It’s not that simple. When you register for VAT, it doesn’t mean you won’t have to pay income tax anymore. You will – have to pay both taxes now. UNLESS you’re investing more money in your company than you get back in sales, registering for VAT will ALWAYS mean you pay more to tax man. It’s simple mathematics – just do some basic examples. I have seen many eBay businesses who simply CAN’T survive after they have become VAT registered. Mostly because of small margins they work with of course but still – they did make it ok before registering for VAT. You can’t say you simply become a tax collector. That would be case if we *COULD* simply add VAT part to our prices and continue selling as we used to. BUt in real life that’s simply not true. We can’t increase prices just like that for 20% or even 10% or 5%. So it almost always means cutting into profits. You missed my point/s completely! I didn’t say you don’t pay income tax anymore so why are you saying that? You also don’t pay more tax, you just pay a different tax! When not embroiled in VAT one will just show more profit which will be taxed as income tax, then register for VAT and show less profit to be taxed as income as it went VAT, the amount of overall tax you will pay won’t be much different! If VAT cuts into profits then there is less income tax to pay, if you are not VAT registered you make more profit which will mean more to pay in income tax… Get it yet? I did not miss your point at all. The point you’re missing is in NUMBERS, they just don’t add up. Seller A (not VAT registered) – buys a chair for £20 and sells for £40, after fees and shipping makes a profit of £10 from which he pays tax of 20% which leaves him with £8 in pocket. £3 is what VAT registered seller will have to pay government as VAT tax. Now let’s sum it up: Seller A paid in taxes just £2 and made a profit of £8. This is a very simple example of course BUT NO MATTER how you look at this, VAT seller will always pay more in taxes and make LESS profit at the end of the day. It’s pure maths, you can’t do nothing about it. Absolutely spot on. This is exactly the problem I am having. I turned over £100,000 in my first year of trading on Ebay, profit margins were about £10 – 15 per item (which I was happy with) Now I am VAT registered on the flat rate scheme, and I am finding I cannot compete, the profit margin has gone down anyway, due to the nature of Ebay being ultra competitive. Now with the added VAT I have to pay, my business is only going to go one way, and I fully expect to have gone bankrupt by the end of the year at best. I quit my job to focus all my attentions into making the best of my business to support my mrs and 4 kids, but I am starting to feel this is a mistake. Like other posters have said it’s the 1st thing I think about when I wake up and the last thing I think about when I go to bed. Its is so frustrating how being honest kills your business, the people I am competing against sell 4 x more than me and are not VAT registered as they (illegally) in my eyes split their business up into different sections yet sell everything through the same Ebay name. I don’t know what I will do next, I still have about £2000 left and fully stocked up, but my VAT bill will be getting to around £1700 by now so not sure what I should do now. Hoping for some help I have a business which has turned over around £300000 I am late in registering with HMRC for VAT I plan on using the margin scheme as I buy and sell used mobile phones, I buy all my item off eBay and then re sell them on eBay, now the margin scheme says it has strict bookkeeping records for being eligible to use the scheme, I always buy off private sellers so I can’t reclaim any VAT on my purchases, the only issue I have is I can’t get the sellers address when I buy something through PayPal, in the PayPal invoice it will always say the sellers name and if VAT has been charged but it never says the sellers address, is there anyway around this? You really need to speak with a qualified accountant about this. As a VAT seller, you can actually create your own purchase orders/invoices BUT you’ll need to have buyer’s address and full name. At least as far as I know. But if you have made £300k in sales, you really need to speak with an accountant ASAP to sort this out! If you’re NOT VAT registered, you can’t get a VAT number. On eBay, when registering a business account, simply leave VAT number field empty. Re. simply leaving the VAT Number field empty – is it really as simple as that? I need to “upgrade” to an ebay Business Account, but the thought of having to charge VAT has definitely deterred me from doing so. I believe ebayUK ask for a VAT number from VAT registered Sellers in order to EXEMPT them from having to pay VAT on Sellers’ fees. Thank you for your time and help in advance. You are doing a brilliant job here with your excellent and very informative blog. Yes, because many businesses are NOT VAT registered, so if you don’t have a VAT number, you simply leave it blank. So don’t worry about this! I am late to register for VAT,after registration when can I deregister? As my turnover will stay under the threshold? Can I derigister within the same day after paying what I owe to HMRC or are there conditions? I’m sorry but I can’t help you with such complicated situation – call HMRC and ask them directly about this. If you sell 0 rated goods, then yes – it would be better for you to be VAT registered as you could claim back VAT on expenses (like eBay fees, shipping, packaging materials etc.). Not sure on whatever you can or can’t get VAT registered if you only sell 0 rated goods. But couldn’t you just tell that you will sell various goods? And you actually could sell something else, that is VAT rated to qualify for VAT registered status. I haven’t been in such situation so don’t know for sure what’s the best way to go. You should get a consultation with an accountant as being VAT registered will really help you. Hi Andrew, Thank you for your reply. The penalty for registering VAT late does the penalty come from the whole turnover we take the example of the previous message (79,000 + 20,000) or the £20,000 that’s over the threshold? I don’t know that Rob, I have never had it. Hello Andrew, if a business has not registered for VAT and it goes over the VAT threshold for example by £20,000 does it have to pay the VAT on the amount over the threshold (20,000) or on the £79,000 + £20,000? Thank you. You’ll have to start paying VAT from the DAY you register. So no, you won’t have to pay VAT on past sales, unless you have missed the time of registration (your fault), then probably you’ll have to pay for sales from the point where you reached threshold. I’m not an accountant though so can’t tell for sure. I am currently selling products on ebay and my account is registered as a business so that i can reduce ebay fees however i am not a registered business. I would just like to know if you could tell me if i would be taxed on my sales or be landed with a tx bill at the end of the year if say my ebay sales reached £10,000? You have to register as sole trader with HMRC, even if you have a full time job. At the moment you’re crossing the line by selling as business which isn’t registered as business. So get this right and register as sole trader. hi there, ive sold on ebay for the last 4 years selling antiques and collectables, i have a high turnover and my accountant said it would be best on the flat rate scheme as im not very good with paperwork, so ive been paying 7.5% vat on my turnover which has been on average £30,000 a month, so every 3 months ive had to pay approx £7,000 vat, this has crippled my business and put me in alot of debt, im on the verge of becoming bankrupt because i built my business up and started to make money, but vat has killed me, when you phone vat helpline for advice they talk to you like you are a naughty schoolboy and ive been fined hundreds for paying even 1 day late, my accountant now after 4 years says i dont think the flat rate scheme has been the best scheme for you, but the paperwork on any other scheme is mind boggling, i even phoned vat helpline up for advice on how to do other schemes, all they say is LOOK ON OUR WEBSITE!! which makes no sense at all. so thanks to the VAT schemes i am now virtually bankrupt rather than before vat threshold i was very comfortable. i have sleepless nights most nights worrying how im going to pay my vat as i make a loss on some items but still have to pay vat, likewise i even have to pay vat on my postage as the postage is included in my turnover, last year alone my postage bill was £46,000. so i would highly recommend anyone not to go above the vat threshold. so much for building a business up, you just get punished, no wonder all the small businesses go bankrupt and all the shops are boarded up and empty because our corrupt goverment just sponges the life out of us all to pay for their greed and expenses! Thanks for your comment. I really feel your pain – VAT does nothing good for us as sellers and in many cases, like yours, it can actually kill margins on platforms like eBay. Not sure why your accountant advised you to go for the flat 7.5% scheme. It’s usually used only in service industries, not retail. My advice – find a smarter accountant who can put your business back on the track. Keeping VAT records is of course trickier BUT there are so many good accounting software packages now, that will even connect to your eBay/PayPal account and get transactions for you automatically, print invoices etc. So it’s not that bad if you learn how to do it properly. I know this is an old post but I hope you are still able to help me. I am in the process of starting up my own ebay business and things are going well a few weeks in. I believe I have a good range of products and they are starting to sell nicely! But as probably with most people I am worried when it comes to paying tax as it is something I know very little about. After reading your post and doing some further research on the HMRC I gather that I complete my Tax Returns through self assessment as a self-employer. (Excuse me if my technical terms are incorrect or seem amateur). I am happy for now with your advice on not registering for VAT as it will probably be a while before I’m turning over that amount of money. The things I understand (please correct me if I am wrong) is that I pay in Tax a percentage of business profits made within the Tax year. But I can’t seem to find a definitive answer to what I should be putting aside when book keeping. I.e. put aside a percentage of what? 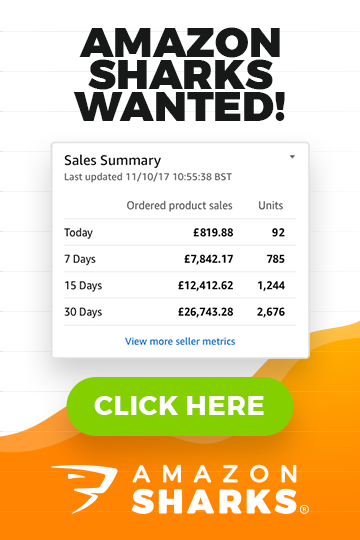 Is the best method to work out the total profit made on each sale, then put aside a percentage of that? For example, product sold for £20, expenses (cost of item, p+p, ebay and paypal fees) = £15, so I put aside a percentage of £5 for Tax? Also where does paying myself a wage come into the equation. I assume wages are not classed as a business expense for tax purposes? Are things such as, cost of ink for printing labels and petrol costs for getting to the post office come under a list of business expenses? I understand you are very busy and I am sorry for bombarding you with questions! I would just like to get it right from the start and hope you are able to help! I’m afraid accounting is not that simple and I won’t be able to give you clear answers here. There are many things that you have to keep in mind, hence I personally outsource accounting completely – I just don’t have energy nor time for that. It would be a good idea for you to book a consultation with a local accountant who specialises in self employed businesses to talk through all these questions and get professional answers. In general, you got it right – you pay % of PROFIT you make after all the expenses. Wages are also business expenses, so is inks, paper, petrol, internet etc. Hope this helps to some extent Chris! You need to be careful of how you structure your company. There are some technical splits mentioned in this post which are risky if not correctly administered by an accountant. We have provided dedicated eBay accounting software (dedicated accountants supporting) for several years through our tempo package. This is a good post but those who are uncertain need to talk to accountants as James makes very clear. That’s exactly what I’m saying – seek professional accountant help. P.S. I’m in no way recommending tax avoidance in my post! If you start a new company/brand, with new eBay/PayPal accounts etc., selling different product lines, then you CAN set-up a new Ltd. company. Nothing illegal there. You just have to know what you’re doing. This article has been a great eye-opener. I appreciate my post entry may be a few months out, but I hope this is still a live thread. Very recently I became VAT registered – as I was told by the eBay rep over the phone that I would need to provide them with a company number and VAT number – in order to increase my selling allowances/ register as a business account due to the high volume of sales. My eBay clothing accessories business is very profitable due to good margins, as I import directly from China. My question is this; can I request to have my VAT information removed from my account so that I do not pay the unnecessary VAT. And also, do ebay take this VAT amount from my account/Paypal – or is it just a case of declaring it on my tax return, as I imagine eBay would pass this information to HMRC (although they probably would deny this). I do not want to call them and ask until I know all the possible facts in case I draw unnecessary attention to the account. Your insight would be much appreciated. Yes, you can un-register from VAT scheme if your turnover is below 77k a year. And then you can request removing your VAT status from eBay account too. In meantime, eBay does not charge/keep any VAT or other taxes from you, neither they share this info with HMRC. It’s your responsibility to do tax returns, VAT returns and pay VAT accordingly. eBay won’t do any of this. Very helpful advices, thank you. I have the same issue with VAT. I am above VAT threshold at this time and want to register with VAT but when I look at the profit margin on EBay (below 20%) due to very competitive market these days, then It comes to my mind that as soon as I’ll be registered with VAT, my business will be closed down coz it will not make any profit. Say if 20% is the margin then same % amount of TO, I’ll be paying for VAT. ( more or less). Can you please advise any solution to this. I am wandering that other people who are VAT registered are coping with it. Interesting read and helped me a lot in understanding the VAT issue. Currently I am facing the same dilemma and trying to figure out how to handle it. Its not viable for me to sell on ebay at all if I register for VAT. They just have sales tax instead…. You are giving incorrect advice in the article. You need to include zero rated items when calculating your VAT taxable turnover. You don’t however have to include exempt items. Neither will have a VAT charge but there is a BIG difference between the two. You’re right, Thanks for correcting me there. I’ll change the article now. I was just hoping for some clarification with the example you give of bedding sets and babywear. When filing the tax return at the end of the year, the turnover for the business would be 45k? You would remove babywear sales from your records and would not have to pay tax on the 60k of babywear sold? No, you can’t simply take “out of turnover” those 60k accountable for baby wear sales. Yes, it’s not taken into account when calculating VAT applicable turnover BUT it will still be taxed for other taxes just as the 45k income from bedding sets. So for tax return, the overall turnover will be 105k. Thanks for the quick response. So in my case of selling footwear, I should highlight in my books the items which I sell that are childrens sizes (which are exempt from VAT). I’ll have to pay tax on the total sales but won’t have to register for VAT if the sales of adult sizes alone does not exceed the threshold. Presumably when I file my end of year tax return there will be somewhere where I can indicate this breakdown so that it does not look strange that my turnover is above the threshold but I am not registered for VAT. Is it quite common practice to do things this way? Thanks for your help. Phil. 2) Can you split your company into server (e.g. 5) separate company’s so you can have a seperate 77k threshold for each company? 1) I’m not sure really? How would it help? As you would still need to register for UK VAT if your sales in UK reach 77k a year. I’m not that informed about HKs tax system etc. so can’t comment on benefits. Mainland China I would probably leave out straight away. 2) Yes and No. By the letter of law, you can’t do it technically – by just splitting one company in 2 or 3 parts but if you’re creative, you can make this work by really separating your business into divisions. At least that’s what I’m doing and it’s perfectly legal. At the end of the day HMRC will make the call, so you may well want to (anonymously) ask whatever your set-up would be ok for them? You’ll obviously need to form separate Ltd. for each division, ideally get a separate address and so on. This is totally grey area and your success with getting this done will depend on your accountant’s creativity. I’m not recommending anything illegal here by the way – not at all! But if you really can create separate businesses and use this as tax advantage, you should probably do it. I have a Hong Kong registered company and will start to sell on Amazon FBA in Germany. The goods are produced in mainland China and shipped from mainland China, then they will be store in the amazon warehouses in Germany, and sold through amazon.de to German customers. I have a German bank account and the money from sales will go into that. 1. Do i have to pay VAT in Germany or Hong Kong (lets assume that i go above the VAT threshold in Germany to keep it simple)? In HK VAT = 0% so if i have to pay in HK, that would be fantastic. At the border when goods are declared, i assume that the German customs will charge customs tax AND VAT on the incoming goods, which then later i guess i could claim back. 2. Where do i have to pay income and profit tax? I guess Hong Kong as this is where my company is, but then my bank account is in Germany, so dont know if the German authorities will sit by allowing me to earn money in Germany off German people without paying tax (other than VAT) on it. 3. Do I have to have a company in Germany at some point or can you operate like this from abroad with no problems? I know many questions, and maybe the setup is not anything like you have done, but any help would be really appreciated!! 1) Yes, you’ll have to pay VAT in Germany if you go over the German VAT threshold. That’s how it works in all European Union countries. 2) You’ll have to pay taxes in Germany probably (see nr.3). 3) Yes, at least this is how it works in UK now – if you store & dispatch goods from UK, you have to register as a business here and of course pay taxes as a result. Alternative would probably be to set-up a company in Germany that only does goods distribution process and your HK company pays this company for the service provided? This would keep German’s company’s profit to minimum. But as I said – I’m not really an expert on such complex tax/accounting questions, especially I’m not familiar with German or HK laws and regulations so your best bet would be to get a legal advice from a professional. Thanks a lot for you help – very helpful indeed, and again for your article which was well written and very clear! Good Luck with the business & Thanks for stopping by. I have a question for you, as i am in a very similar position may i get your email address? I’m currently trying to fix the same problem with FBA Europe. May we share some information? Little advice- Don’t put your stock in amazon warehouse,because when amazon decide to suspend your account for no reason whatsoever and keep your stock locked in their warehouse,u’ll be screwed mate!! And believe me it happens more than you think!! Never ever trust amazon with your stock,they are total crooks my friend. I know of 3 people who had 95%,99% and100% positive feedback ratings and were shut shut down overnight with a bullsh-t excuse,all their stock was locked in so they couldn’t create a removal order for their products. Also amazon do not take wisely to Chinese receipts:-)) you have been warned!! It’s hard to believe though that Amazon does keep stock if your account is banned, unless it’s fake goods involved? Ebay charge 15% VAT which you have to pay however you cant claim back any Tax back on business purchases? So are you really better of? Yes, you’re because that VAT charge on your eBay fees will never offset the extra you have to charge your customers. If eBay fees are roughly 10% and VAT makes less than 1/5th of that so that’s only less than 2% difference on FEES. sort of similar to one of your other posters. i live in China and have a Hong Kong limited company that sends good to Amazon in Europe and another fulfillment company in the UK. Do I have to pay UK or European VAT as my turnover for all sales is nearing £79,000. the current VAT level. Yes, I’m afraid you have to register for VAT in case goods are stored and sent from a UK/EU based warehouse. You won’t be paying 20% as you’ll be taking off any VAT you pay suppliers and other expenses. But yes, on eBay it is a problem as many sellers are not VAT registered and it will be harder for you to compete when you are. The only solution to this is to deal with products that have decent margins. No way around this. Thanks for the info about the VAT, i understand you have many ecommerce/ebay business brands you trade under, to help you stay within the threshold did you register each brand as a separate ltd company? therefore making them totally unique legal entities with their own individual VAT turnover limits? Yes, I usually create a new Ltd. when starting new business. This not only makes them VAT free in the beginning but allows me to legally open new PayPal accounts (more on multiple PayPal & eBay accounts in next Monday’s blog post). Do you need to pay an extra fee to the account for each new company? Ie, we are paying over £1000 per year for a single company, would we need to pay the same for each new one? And if you don’t mind me asking, which accountants are you using and how much is usually per company? Yes, of course – there are additional accounting fees for each company. I’m using a local, small accounting company that gives me good discounts on additional accounts. They do local businesses only. Thank you for such detailed information on VAT. Or is trun over the actual sales for the VAT threshold of 85,000 in 2018. Turnover is your sales number, as simple as that. You don’t take anything off that number. Should they register for VAT or not ? And if sellers not register for VAT can eBay ban them ? I don’t know really what is going on on eBay as I don’t sell there anymore. So I don’t know how/if/when eBay will ban sellers who are not complying with VAT regs and law. But yes, if your business is based outside the UK, you have to register for VAT from day one IF you store goods in the UK OR from the moment you reach distance selling threshold IF you don’t store goods in the UK but send them to customers directly from abroad.